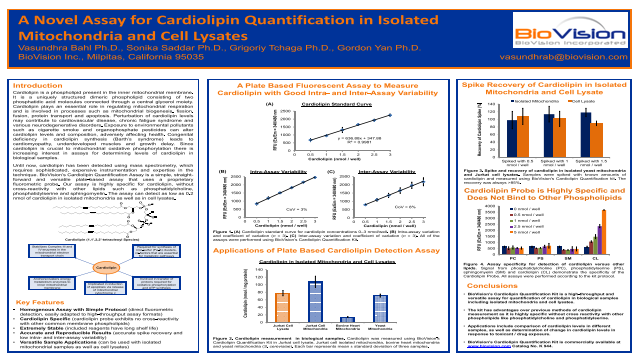 Abstract: Cardiolipin is a phospholipid present in the inner mitochondrial membrane. phosphatidic acid molecules connected through a central glycerol moiety. including isolated mitochondria and cell lysates.